Make a style statement with one of Heritage's Limited Edition collections, inspired by the latest interior trends and for those wanting something a little different. With its pretty mother of pearl detailing on the tap handles, the Gracechurch range encapsulates both splendour and practicality. 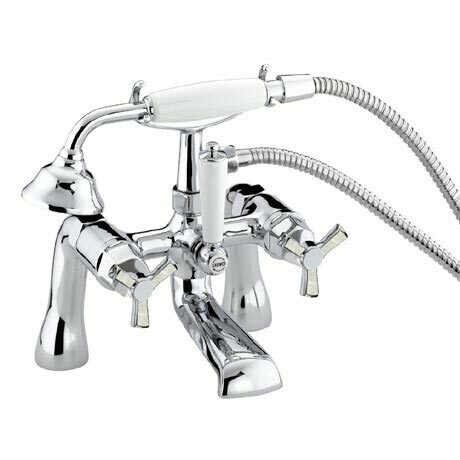 This Bath Shower Mixer is manufactured with high grade brass and finished in chrome, fitted with quarter turn ceramic valves for smooth operation and ease of use. Comes with a 5 year guarantee covering manufacturing faults.